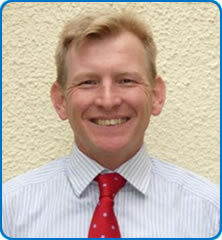 Dr Jonathan Wills trained in Anaesthesia in the Nottingham region, before being appointed as a consultant at North Bristol NHS Trust (NBT) in 2002. Dr Jonathan Wills is particularly interested in Regional Anaesthesia for Orthopaedic operations and truma and is the lead consultant for Gynaecology. He is involved in the training of both anaesthetic trainees and medical students.